GROOTS Kenya is celebrating the win for women in the just concluded general elections. 9 female candidates who were supported by GROOTS Kenya won various elective seats. 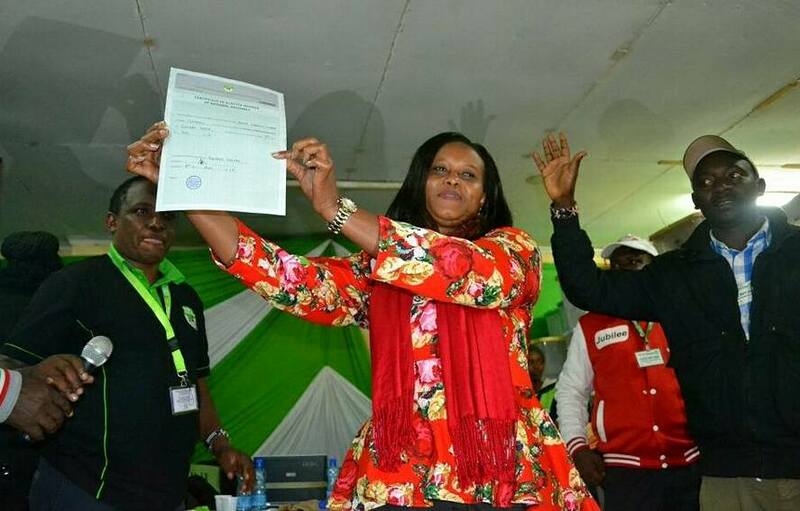 Wanjiku Kibe the MP elect for Gatundu North, Sarah Lekorere Laikipia North MP elect, Jackie Nungari Bibirioni Ward MCA elect, Catherine Waruguru the Laikipia County Women Representative elect, Veronica Muthoni Nanyuki East MCA elect, Helemina Llanziva Isukha North MCA, Gladys Mkongolo Idaho North MCA elect,and Godliver Omondi MCA elect for Kholera ward have done us proud by putting themselves out there and emerging victorious. With the help of the Champions for Transformative Leadership; a group of women and men in Kiambu, Laikipia and Kakamega, GROOTS Kenya mobilized grassroots communities to rally behind these women. In each sub county and down to the ward level, the champions campaigned for the candidates and even engaged in door to door campaigns to make sure that the women won the respective seats they were gunning for. In addition to this, GROOTS Kenya facilitated forums where the champions brought together community members to a single venue and had the candidates present their manifestos to the public. Further, GROOTS Kenya also assisted the candidates to produce campaign materials which included banners, posters, lesos, reflector jackets and stickers. GROOTS Kenya also went on several platforms to demand that female candidates be provided a safe space to carry out their campaigns and together with other organisations and institutions, made joint calls for peaceful elections and prevention of electoral Gender Based Violence. The projects, aimed at increasing women’s political participation and representation is in line with GROOTS Kenya’s core objectives which is enhancing the capacity of women to engage in leadership and governance issues. Thanks to We Effect, UN Women and the European Union for their support to GROOTS Kenya and their commitment to enhancing women’s political participation.